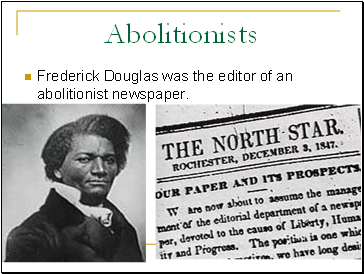 Frederick Douglas was the editor of an abolitionist newspaper. 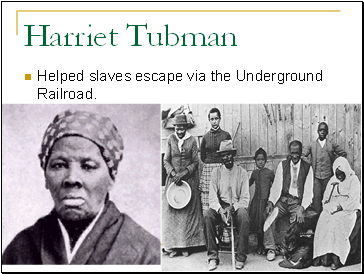 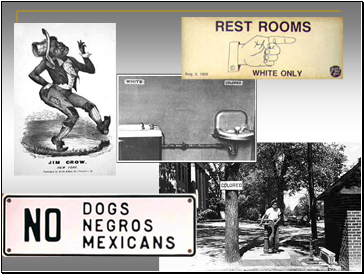 After the Civil War 1861-1865, the federal government made strides toward equality. 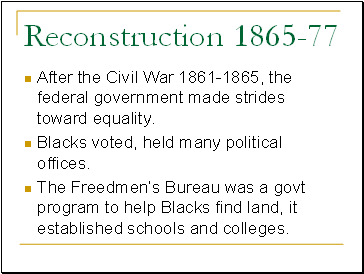 The Freedmen’s Bureau was a govt program to help Blacks find land, it established schools and colleges. 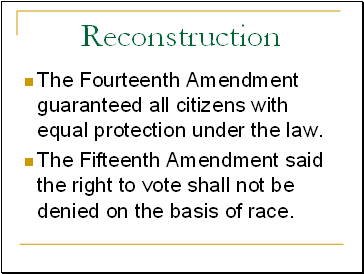 The Fourteenth Amendment guaranteed all citizens with equal protection under the law. 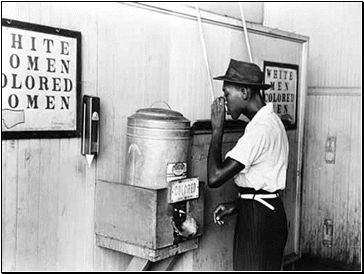 The Fifteenth Amendment said the right to vote shall not be denied on the basis of race. 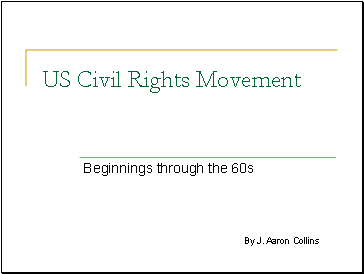 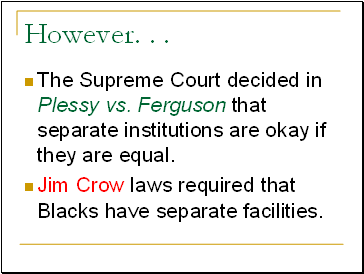 The Supreme Court decided in Plessy vs. Ferguson that separate institutions are okay if they are equal. 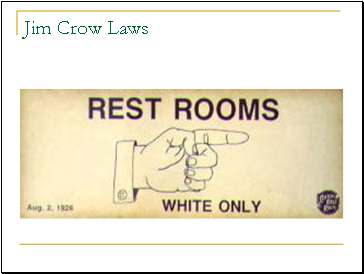 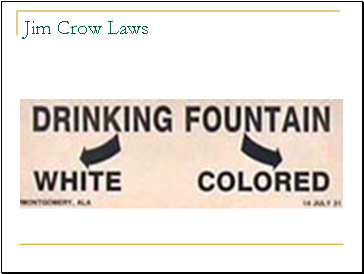 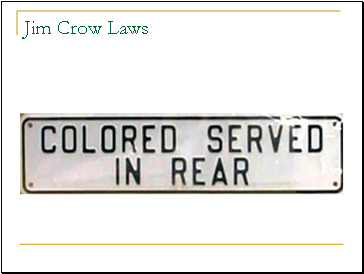 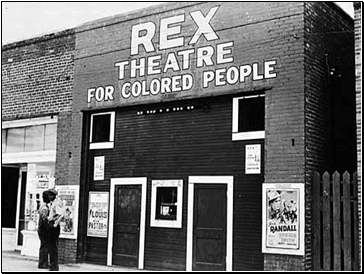 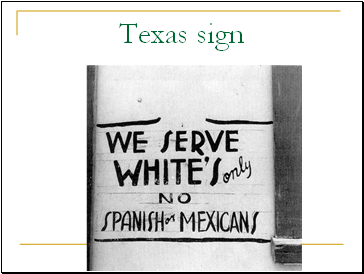 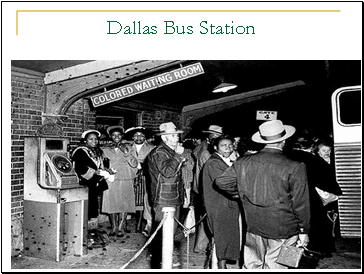 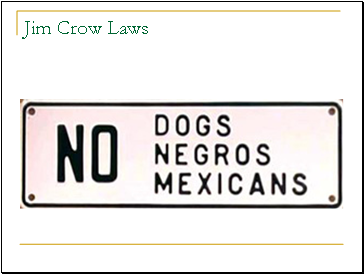 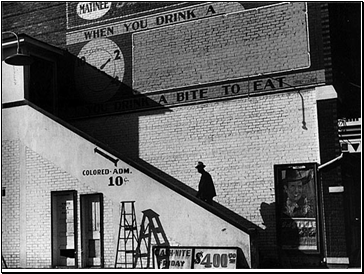 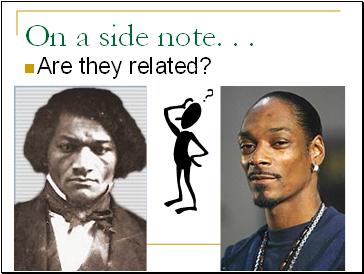 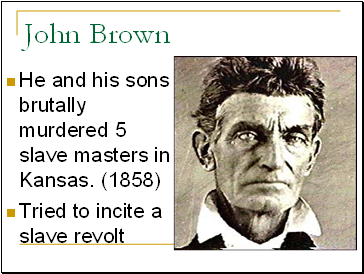 Jim Crow laws required that Blacks have separate facilities.